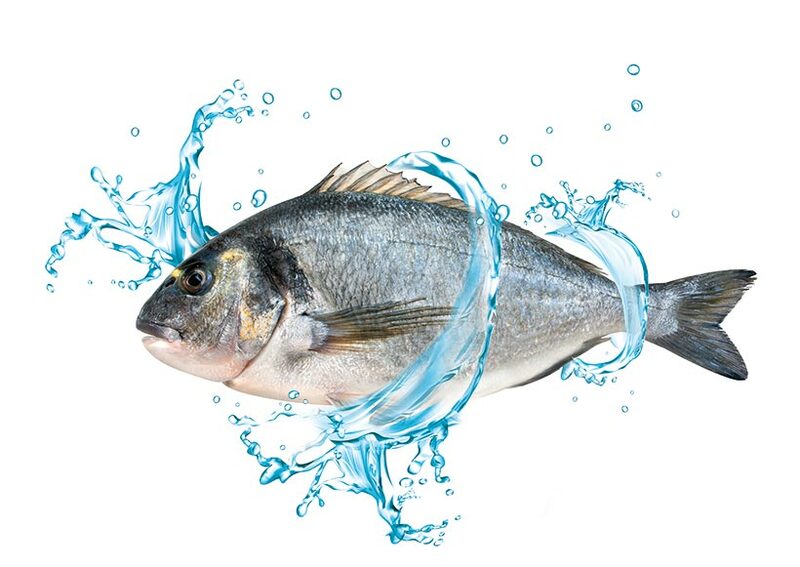 Innovative new sea bream feed enhances market value – Portuguese aquaculture nutrition company Aquasoja has developed a functional and naturally derived feed for gilthead bream, which ensures the harvested fish have a natural wild-look skin coloration, thus enhancing market value. Under current farming conditions, gilthead seabream is deprived of natural sources of pigments, and as a result, these fish present a greyish skin color quite different from the coloration usually observed in wild fish. End consumers perceive this lack of normal colouring as lack of quality. Thus, a nutritional approach that could bridge the difference in color between farmed and wild gilthead seabream would result in a product of increased market value. This is why Aquasoja launched CROMA, a functional feed to be fed to gilthead seabream in the final phase of the cycle, during the last 4 to 5 weeks of production. Composed by marine and vegetable derived raw materials rich in natural pigments, namely xanthophylls, it is possible to obtain fish with a skin colour closer to that of a wild gilthead seabream, which will thus be more acceptable and valued by the end consumer. Furthermore, CROMA’s richness in very palatable marine ingredients such as, for instance, fish oil, krill meal or squid meal, will also improve the organoleptic characteristics of the fish.